Does Your Car Lack The Shine It Once Had? 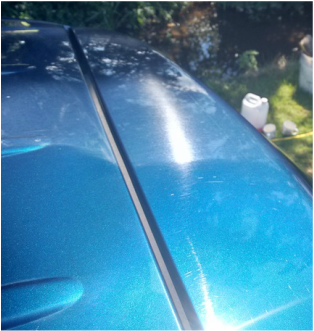 Over time, swirls and scratches take away the gloss and depth your paintwork used to have. If your car is a darker colour, you've probably noticed sunlight catching all the swirls and scratches. Our Gloss Enhancement Detail is designed to reduce/remove the light scratches and swirls by either single or two-stage machine polishing. This brings gloss back to the paintwork, increasing the depth of shine. It also helps to revive the colour, and the flake in metallic paint to show better. Please note that this isn't full paint correction. Deeper defects will remain, but the gloss and clarity of the paint is significantly improved, and appearance of deeper scratches etc reduced. Entire vehicle exterior pre-washed, then washed with non-scratch washmitts, and rinsed.